I am so thankful and blessed by the opportunity to work here and gain real world experience in the areas of sales, catering, hospitality and other related fields. I have made friends with my coworkers and together we have been through a lot in the past (nearly) year. Working everyday with these people has been a true experience and each of them has taught me something new. I pray God continues to bless them in way even they could never imagine. I have learned a good amount about myself during this time too, both personally and professionally…and I am excited to take what I have learned and apply it in a new way at a place I love. I end my employment here excited for the next chapter of my life. I must say… I love three day weekends! And this past weekend was no exception…go Labor Day Weekend 2012….let me tell you about it. So, as good as the weekend turned out being, it did not start off well. I left work early on Friday due to being at my hours for the week, and because I was not feeling well at all. I got home and slept, woke up to eat, and slept some more.Saturday was a mix of sleeping, watching tv/movies, and playing Call of Duty. Saturday was a bit bitter/sweet because my buddy Evan hit the road to head home to Montana. He has been living with me all summer and is off to get himself married next Saturday (you can bet on a post about it). But then I woke up on Sunday and felt so much better! Sunday was basically a family day, the first in a while! All three of us had the day off and we decided to go to the fair. We spent a good part of the day at the Evergreen State Fair in Monroe. We saw animals, booths, various displays, a lumberjack show and more. It has been a while since we have been to the fair so it was really nice to be back and have time to cruise all around. And as it usually is with the fair, we ate too much…but it was all so tasty! After the fair is was back home for a nap then I headed over to Amanda and Robert’s for pizza, fun conversations and Madden ’13 (it’s awesomeeee). Monday was the true adventure day, however. After visiting one of my friends who just had surgery, I met up with Bryan and our adventure began! We jumped on the Edmonds-Kingston Ferry and cruised over across the water. After grabbing a quick lunch we made it to our destination: Island Lake Camp! Yes, the very same that I used to work at and is so near/dear to my heart. There were not too many staff members still there so late in the summer but it was fun to see the staff that were there. I was especially glad to see my buddy Joel (who you know by a previous post is going to India soon). Byran and I spent time walking all over camp, and it was fun being able to tell him all about it and about some of my fond memories from Camp. We also decided to take a short trip to Miracle Ranch and I was able to see a couple friends there too before getting the ferry back home. So, there is the basics of my weekend. It may not seem like much to you, but I greatly enjoyed it! It was three days full of a little bit of everything: laziness, adventure, travel, hanging out with friends, and reliving great memories. All in all, a very good Labor Day Weekend…relaxing and rejuvenating. Well, I have been looking forward to this moment for a while now. It is the eve before I head out for what will be a great weekend, I already know it! For the first time ever, I am able to go to Creation Fest here in the Northwest! In case you do not know, Creation is a yearly music event…four days of music with some of the biggest names in Christian music today, plus countless other groups. While I will only be there for one day, I am so very excited! To be surrounded by believers all day, while worshiping and enjoying being with each other and having a fun time…it is hard to find the words to describe an opportunity like this, but I am pumped! Then, on Saturday I get to take part in another great event, the 5 K Mud Run, sponsored by World Concern and taking place at Island Lake Camp. It’ll be 5K of mud and run, all while raising money to help bring clean water to those in need around the globe. PLUS, it is being held at the camp I used to work at so I will be able to see some of my friends too. Needless to say, it is going to be a busy but great Friday and Saturday…of that I am certain! The next couple days will be great, but are not completely free of worry. Please join me in praying over both events…prayers for safety, hearts to be changed and new memories to be formed. I know God is going to do great things in Washington this weekend…and I cannot wait to tell you more about it when I return! Recently I was doing my evening devotions and I started reading Philippians for what may be the first time, at least in a long time. As I started reading through the first chapter, the following set of verses really stood out to me. You see, I have lately been really missing my friends at Camp and truly wish I was working there again this summer…there is no place I would rather be in the entire world…but I am working to stay true to the path God has placed before me. Nonetheless, I think about Camp constantly and spent time in prayer for my Camp family and friends, as well as all their efforts with various groups and campers. As I was thinking about Camp, I came across this verse. It fits what I wish I could say to everyone at Camp. Philippians, a letter in the New Testament, was written by Paul to the church in Philippi. He was imprissoned at the time and could not be with them, so he turned to writing to them in words of encouragement and thankfulness. I may not be in prisson (don’t worry, mom, I’m fine), it almost feels like it-just because I am separated from them. So I too turn to words of thankfulness and encouragement, turning to the words penned by such a great man so many years ago. How true his words still hold. I thank my God every time I remember you. In all my prayers for all of you, I always pray with joy because of your partnership in the gospel from the first day until now, being confident of this, that he who began a good work in you will carry it on to completionuntil the day of Christ Jesus. It is right for me to feel this way about all of you, since I have you in my heart and, whether I am in chains or defending and confirming the gospel, all of you share in God’s grace with me. God can testifyhow I long for all of you with the affection of Christ Jesus. And this is my prayer: that your love may abound more and more in knowledge and depth of insight, so that you may be able to discern what is best and may be pure and blameless for the day of Christ, filled with the fruit of righteousnessthat comes through Jesus Christ—to the glory and praise of God. To Camp: Keep up the hard work! I know it can be difficult and tiring sometimes, but I have full faith that you will prevail. I wish you all the best and look forward to when I see you again! 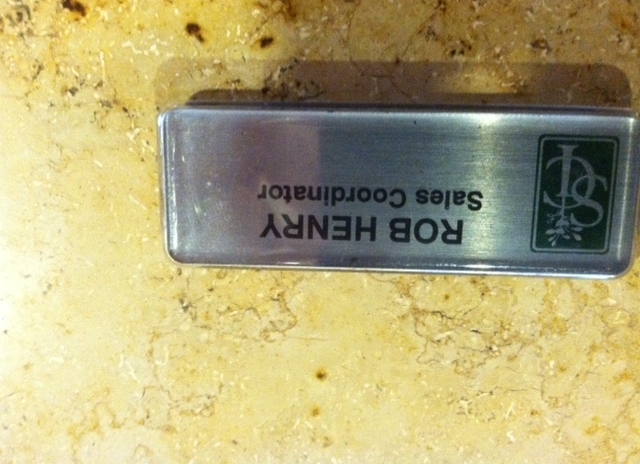 You just never know when I may turn up…. 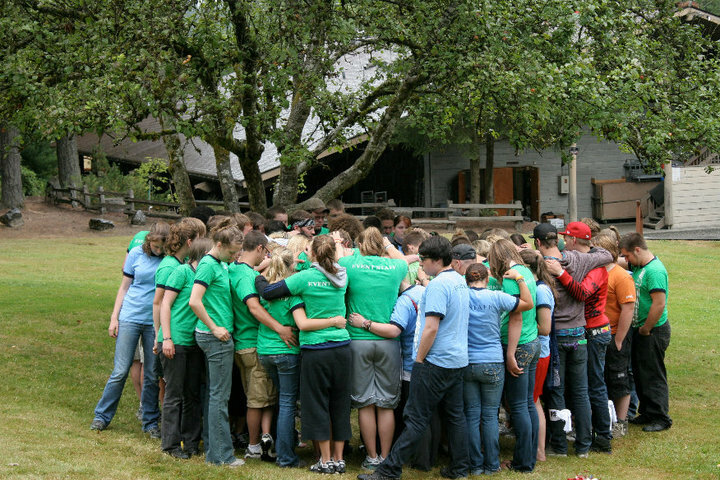 Staff prayer at camp….how I wish that was happening right now. Know that it happens in my heart and mind. A few thoughts from my time this evening at Island Lake…a place near and dear to me. And, as you can see, a place that is full of memories in my mind and heart. I strung these few lines together while walking the camp grounds, I wrote them down while on the ferry home and now I post them to be seen. So many memories from Camp. You know those times where you go somewhere, and although you return tired, you are still totally refreshed? Well, that was part of my weekend. I made a fairly last minute trip to Miracle Ranch. I was able to leave work early, and despite traffic, still made it to camp around 4:30. The camp was busy, with around 75 Junior Campers (grades 4-6). We were a little short-handed so it was all hands on deck, in true camp fashion. I was able to jump right in with my friends and it was great! It was so great being able to spend time at a place that means so much to me, with people of the same. Friday was a blast, hanging out with campers, playing games, and worshiping together. I spent the night in a cabin with the Zonzelman brothers (the group that usually goes the worship for our Fusion Weekends. They are great guys and so much fun to hangout with!) Then on Saturday I went with Jon to work an event for Camps in Tacoma. 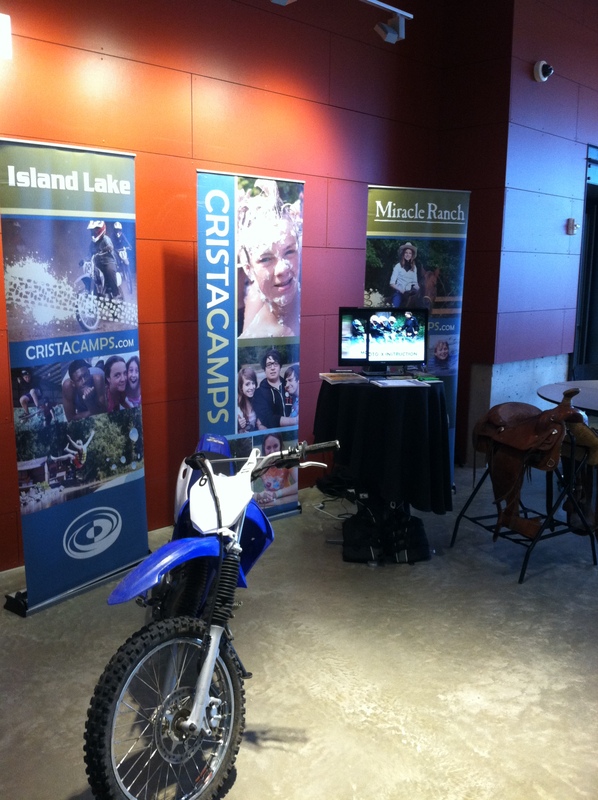 I spent the day talking with people about Camps and all the different options there are for kids and campers. All in all, although I was only there for 24 hours, I came away feeling refreshed. To be able to spend even just a day in such a place was great. Just to back in the camp environment was a great feeling. I always enjoy being around such dedicated and relational people, a few of whom are my closest friends. We are able to work, worship and serve God together…amazing. If you have read any of my previous Camp-related posts, you know how much Camp means to me and just how much I enjoy being there. My display at the event. So as some of you know, and the rest are literally about to find out, I spent this weekend at camp. It was one of our Fusion Weekends (a week of camps packed into a long weekend) and was held at the Ranch. Now, before I get to the topic of the post, I would like to briefly talk about the weekend. I left for camp early Saturday and got to camp in time for breakfast. The rest of the day was spent in true camp fashion…never stopping. 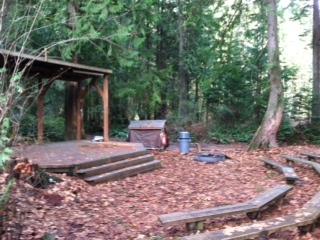 From breakfast, it was on to fireside then camp games followed by lunch and activities all afternoon. It was amazing and it felt great to be back in the swing of things-truly back in the hustle and bustle of camp life. To be able to work and worshiping along side such great people as the camp staff and hang out with campers was truly a blessing and just what I needed. Although I am back home now, completely tired and worn out, I also feel so rejuvenated and refreshed. It’s truly only a feeling brought about by camp, and something that people who have not experienced camp may not fully understand. Now I would like to dive a little more into the purpose of this post and how the title relates.Then on Sunday afternoon, after I left the Ranch, I headed up for a quick visit to IslandLake(where I worked for the past two summers as the Recreation Coordinator). 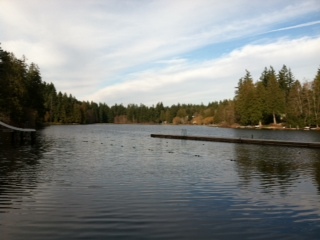 During part of my visit, I spent time simply walking around camp, taking it all in. While I was walking and revisiting all the different areas, I was hit with overwhelming feelings and emotions as memories of all types flooded back in to my mind. I have so many memories associated with camp, it seems that literally everywhere I looked I remembered something else. You see, working and living at camp was a life-changing experience for me. As I think about it, I do not think any singular place or time in my life as affected me as IslandLake. The memories I have from camp vary across a wide range and spectrum of emotions and stir up various responses. It was during my time there that I learned, lead, grew and deepened my faith more than at any other place or time in my life. The people I met during my time at camp have changed my life forever, in various ways, and some of them I consider my closest friends and confidants. This gets more to what this post is about…the stark truth about my future with Camps. I was really hit by the realization this weekend that I do not know if or when I will be returning to Camps, in any sort of capacity. This may not seem like much to someone who has not experienced something like this, but I assure you that it is to me. As I think forward to the summer, it is strange to think that I will not be returning as a member of Summer Staff. Do not get me wrong, I have a great career job now and enjoy it immensely, but I am still not used to the thought of not returning to Camp. I have gone several times since the end of the summer to help out, and I will keep doing so from time to time, but I feel that even those times are coming to a close. As the summer gets underway, there will be a new staff, a new community, one in which I am not a part of and I do not overly belong. I do not want it to appear that I am intruding in any way on this new and developing community and will base my visits/volunteering accordingly. Camp has truly changed my life. From the people I met and interacted with, to the activities and experiences, and everything in between, my life has been altered. I am so thankful and feel very blessed to have had the opportunity to be a part of this environment and I will always remember the times along the way. I am not saying it was all easy or good at the time, but everything worked and flowed together to put me where I am today. I love the mission and drive behind Island Lake and Miracle Ranch and will continue to pray for continued growth and outreach over the years to come. And, should it be according to God’s will for my life, I may just return at some point; for now, I am left with the memories, relationships and lessons from along the way…things I will never let go of and will always remember. Here are just a few pictures I took while I was there this weekend. A very small, limited glimpse at Island Lake. Any amount or quality of pictures does not fully give justice to the place. There are more pictures and videos on both mine and Crista Camps Facebook pages, I encourage you to check them out. 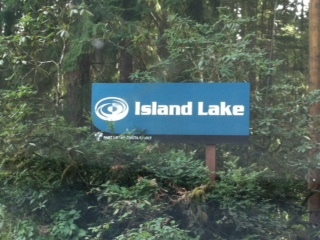 The main sign at the entrance to Island Lake. Fireside...The place of so many wonderful experiences...from fun times with fellow staff to watching campers choose to follow Christ, this is definitively hallowed ground. My favorite place at Island Lake. Out at the waterfront, looking out over the lake. Such a peaceful place. I have done many devotions and had numerous conversations out at the very end of the dock.